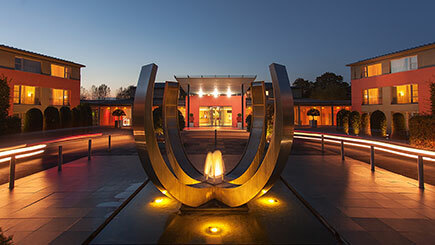 Nestled in picturesque rural Northamptonshire, Whittlebury Hall is a magnificent venue and spa with beautiful Georgian architecture. Rejuvenate the mind and body with a spa day at this stunning location. Make full use of the facilities, including an ice cave, aromatherapy crystal steam, sauna, hydrotherapy pool and more! There will also be an opportunity to choose a soothing 25 minute treatment, from untangling those knots with a back massage to a fresh new look with an express facial, or why not give hands and feet a makeover with a mini manicure or pedicure? Following on from that, after a day of utter bliss and tranquility, a delicious buffet lunch will be served for a chance to refuel and recharge. Unwind and relax from it all with a refreshing spa day. Available Monday to Thursday, subject to availability. 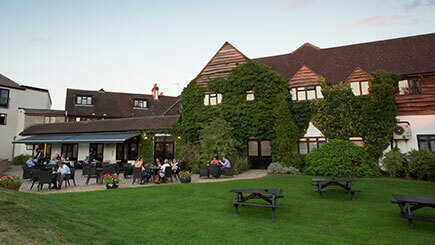 Guests can book on Fridays for £20pp directly with hotel at time of booking. Minimum age is 18. Please discuss any medical conditions at the time of booking. Guests are welcome to stay from 9am - 5pm. 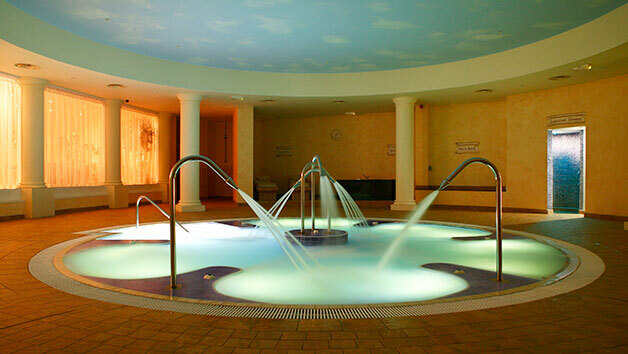 Spa day includes a 25 minute treatment, use of facilities and a buffet lunch.